Richard Wilson’s 20:50 is a room in the Saatchi gallery half filled with oil. It creates a perfect reflection and gives the viewer a sense of divine vertigo (helped by the overwhelming smell of crude in the room). 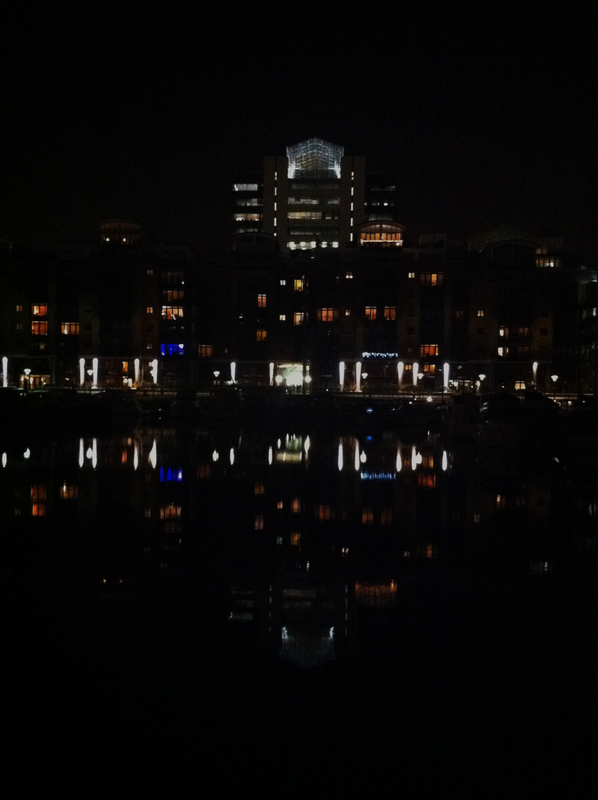 Runawaykiwi’s 20:50 is this photo taken at 8:50pm in St Katherine docks. A still moment, of perfect reflection, in the middle of a hectic city.